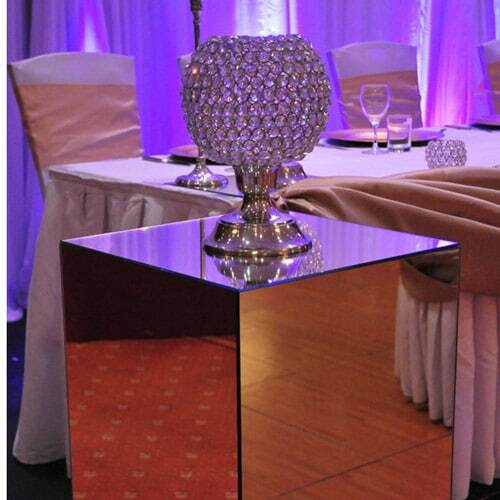 Mirror pedestals or plinths are a pretty replacement for the simple stand available at most florists. 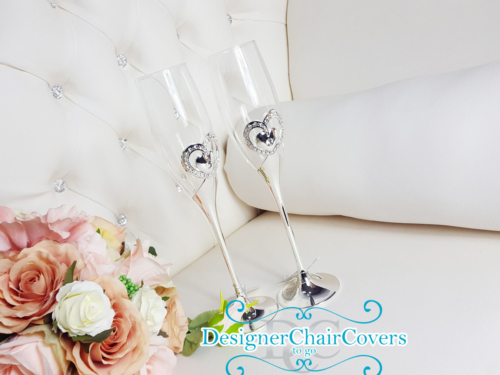 They are a great feature to have next to the top table ideal for presentational items such as the placement of a large arrangement of flowers. The plinths are an excellent way to showcase the top table or they can be used at the wedding ceremony along the aisle or even at the entrance to the wedding reception. The large base allows a wide variety of options from flowers to centrepieces to something very special to you. The pedestals come in two sizes the taller upright stand and the smaller square cube. 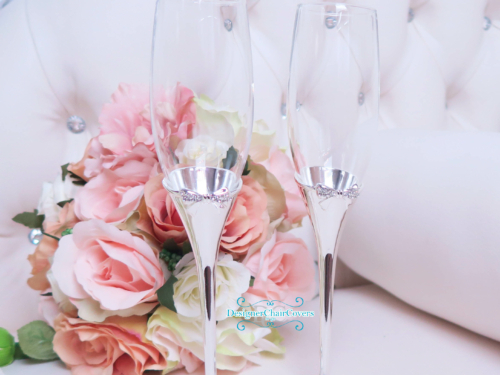 For more information how these can be added to your big day get in touch today!